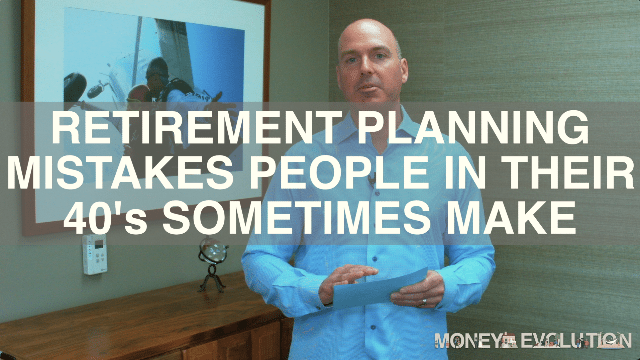 In today’s video vlog, I’m going to be talking about Retirement Planning Mistakes People In Their 40’s Sometimes Make. Mistake number one is not saving enough money. This is a pretty common one and according to a lot of data that’s out there, people are just not saving up money for their retirement. Just to give you an example of this, let’s say that you’re 40 years old and you’re saving $10,000 a year into some type of retirement account, if you save that $10,000 every year for 25 years until you’re 65 years old, and you earn a seven percent rate of return, that investment of $10,000 a year is going to grow to about $632,000. On the other hand, let’s say you didn’t save anything during your 40’s and at age 50, you started saving $10,000 a year and you did it for 15 years until you’re 65. That same investment of $10,000 a year for 15 years at seven percent is only going to get to be $251,000. So over two and a half times the amount of money by starting early, and that time factor is really important for you to be aware of there. Mistake number two is not paying attention to all of your investments and this is another common one that we see all the time. 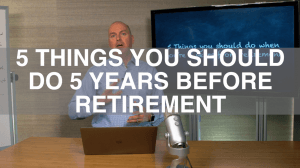 By the time you’re in your 40’s, maybe you’ve had a couple of different jobs, maybe even different career changes and you might’ve left the 401k plan at a previous company. Maybe you started an IRA account early on but you don’t contribute to it anymore. By the time you’re in your 40’s, you may have investment accounts that are scattered in a number of different places. And if you’re married, maybe your spouse has a few different accounts, and it’s very easy to lose track of it. Not that you don’t know that the money is there but you aren’t really paying as much attention to those accounts as you really should be. More and more, especially if you’re in your 40’s, chances are you probably don’t have a pension, your full retirement age for Social Security is up to 67 that might even get pushed up even more. 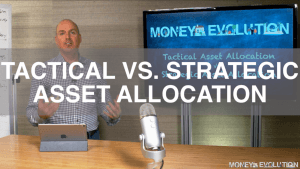 So you’ve got to play a more proactive approach to managing all of this money, making sure that all of your money is working for you. So it’s a good idea to really pay attention to all those accounts and not just simply ignore or forget about an account. Mistake number three is saving money in the wrong account. This is another very common one. We now have a lot of different choices as to where we can save money. Again, you probably have a 401k plan through work or some other type of employer-sponsored plan. Most of those plans now offer both a traditional option and a Roth option. and I think that the Roth option is something that we don’t really see a lot of people taking advantage of. Most people are still putting money into those traditional accounts. And if you haven’t looked at the Roth to see what kind of impact that could have, I think it’s time to really look at that because the Roth account can be a very nice savings vehicle because any money that goes into the Roth goes in after taxes, so you’re not getting that immediate tax benefit, but the money is growing completely tax-free as long as you take it out at retirement as a qualified retirement withdrawal. And that could really be a good thing for your future. 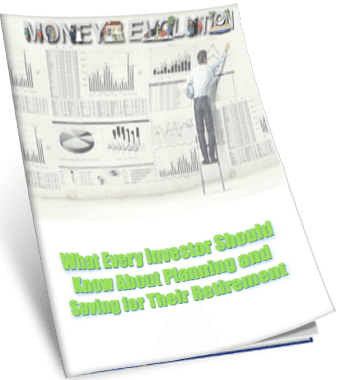 I also see a lot of people saving money for the retirement in non-retirement accounts as well. And that’s just a big mistake because if that money is long-term money, and you’ve got it in a non-retirement account, you’re having to pay taxes on it every year, you’re not getting any tax deferral and when it goes time to take income from that account at retirement, it can really have some bigger tax consequences then for you as well. 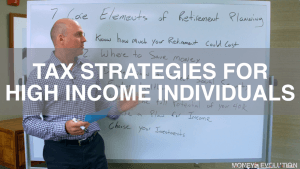 So especially, look at all the different accounts that you could be taking advantage of and if you’ve got money in non-retirement accounts, it might be a good idea to look at shifting that money into a retirement vehicle. The fourth mistake that I sometimes see people make is not having a plan. 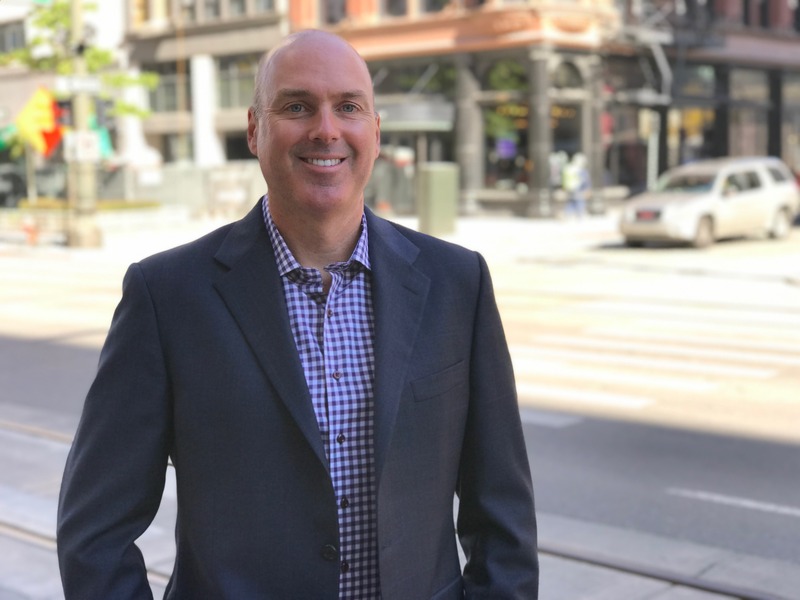 When you’re in your 40’s, you probably have a lot of different things going on and it might be difficult sometimes to get a really clear vision of what your retirement is going to look like, maybe 20 or 25 years down the road. 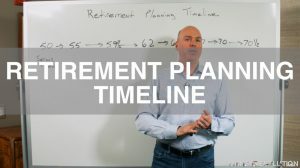 But having some type of a plan, even though that plan is very likely to change between now and the time you retire, is going to be very important. 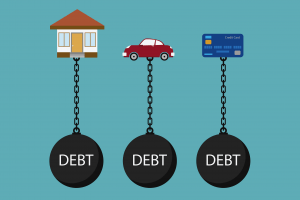 And maybe the best way to do it is to begin by looking at some of your expenses and forecasting a bit about what those expenses might look like when you’re retired. I’m in my 40s, we’ve got kids at home, there’s a lot of expenses that we’re likely not going to have when we retire. So it’s a good idea to maybe kind of envision what that retirement is going to look like for you. How much you might plan on spending on traveling? What your housing expenses might be at the time you retired? 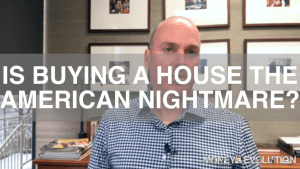 If your house is going to be paid off for example and I put that together, then you can start doing some forecasting to kinda look backwards to today where you’re at relative to those financial planning goals and look to see if you’re on track. And that can be done through a very simple financial plan. There’s lot of online plans that you can do. 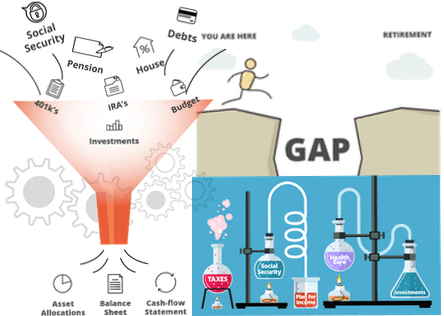 We’ve got some worksheets that are actually on our website where we can walk you through that process to estimate some of those future expenses and kind of identify what we refer to as your retirement gap. That’s going to be located on our free resources section on our blog at moneyevolution.com. So if you don’t have a plan, even if it’s a very simple plan, in your 40’s it’s a good idea to have one.